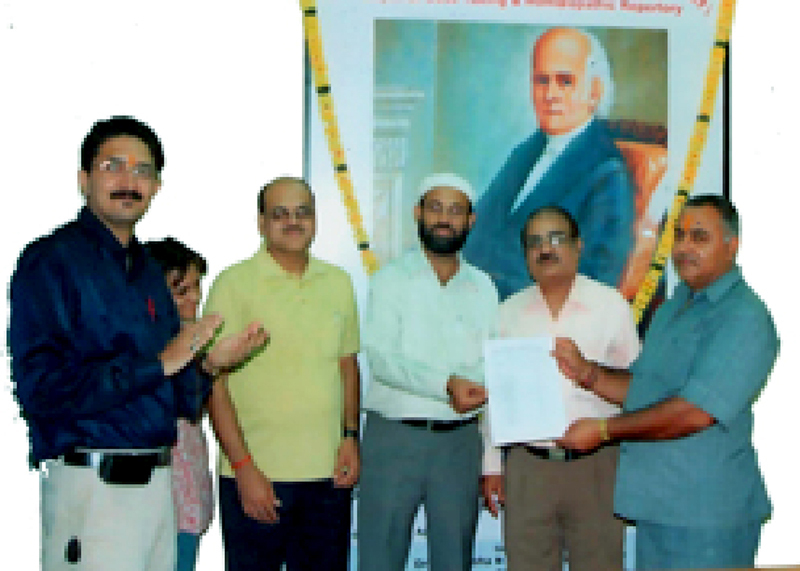 BHOPAL.AUG.31: Dr. Mohammad Zakaria has been elected as the member of the Central council for Homoeopathy. Dr. Zakaria secured total 1754 votes and defeated his nearest rival Dr. Dinanath Mishra, who secured 1739 votes. The Presiding Officer Dr. S. K. Mishra and Observer Dr. S. K. Tiwari offered the election certificate to the winner.